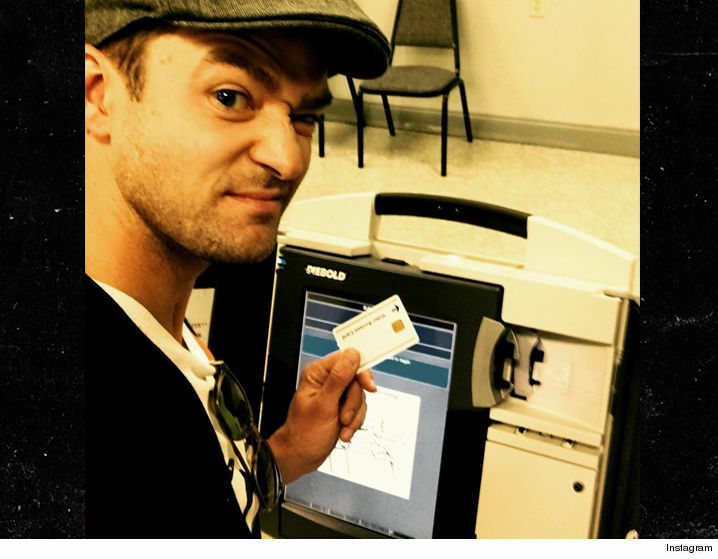 Pop star, Justin Timberlake, made national news this week when he took a “selfie” in a voting booth. Timberlake flew to his hometown of Memphis to vote, and wanted to encourage his fans to do their civic duty by doing the same. While Timberlake meant well, he didn’t realize that his selfie was a violation of the law. We all know that it is illegal to offer money or a promise of employment in exchange for influencing someone’s vote. Likewise, it is illegal to accept money or a promise of employment in exchange for your vote. Various other restrictions apply to the voting process, including the fact that you can only vote once during any particular election and you are not allowed to tamper with the machines used to tabulate votes. Pretty much common sense. However, many citizens (including pop stars) are not aware of the voting laws against selfies. The “Unlawful Observation of Voting” statute within the Election Code, 10 ILCS 5/29-9, makes it a Class 4 felony to knowingly observe another person casting a vote but also to knowingly cast a vote “so that it can be observed by another person.” In other words, posting a selfie that you took while voting is a public admission of a felony. Any photograph taken inside a polling place could likely be perceived as either allowing someone to observe you while voting and/or as observing someone else while they are voting. The safest course of conduct is to avoid all photography (selifes included) within a polling place. So, Tapella & Eberspacher LLC encourages you to exercise your right to vote and we encourage you to use social media to encourage your friends and family to exercise their right to vote. But please avoid selfies. Just this once. Or if you cannot avoid selfies entirely, at least take your selfie outside the polling place.